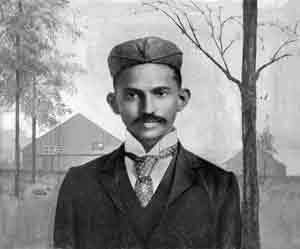 On June 7 back in 1893 Mahatma Gandhi launched his first act of civil disobedience by refusing to accept segregation on a train in South Africa where he was then working. Now Gandhi was a wise and admirable man in many ways, though his prescription for simple living was impractical partly on grounds, ironically, of cost. But it is important to understand that his Zen-style masterstroke of fighting the British by not fighting them could only work against a benign and noble colonial power. Gandhi called on the British to live up to their ideals and in the end they could not bring themselves to refuse. Against a colonial power with different ideals, from Genghis Khan’s Mongol empire to that of Imperial Japan, it would have ended swiftly with a sword or bullet to the back of the head. Gandhi himself almost saw this truth, initially offering “nonviolent moral support” to the British effort against Hitler, Mussolini and Hirohito. But ultimately he decided, as did the Congress Party leadership, that they could not support a war for freedom unless Indians got theirs immediately. Unsound as that decision was, given that Britain was committed to liberty and would decolonize India shortly after the war, it is even more unsound to presume that the fundamental problems presented by Nazism or Imperial Japan’s aggression could have been solved by nonviolent resistance in the manner that British imperialism could. In the Bible Christ tells believers to turn the other cheek. But he also says to render unto Caesar that which is Caesar’s, which includes defence of the realm, of liberty and of freedom of conscience. And Matthew (8:5-13) and Luke (7:2-10) both say Jesus did not refuse to perform a miracle for a centurion but instead praised his faith, though the man bore arms. Gandhi’s philosophy, for all its admirable qualities, lacks this balance. And it is worth noting that his self-proclaimed heirs in India were not shy, indeed not sufficiently shy, about using military force.